Russ and Tion Wayne have enlisted a huge line-up for the ‘Keisha & Becky Remix’. ‘Keisha & Becky Remix’ sees Aitch, JAY1, Sav’O and Swarmz all feature. Russ kicks things off with a new verse, followed by Liverpool rapper Aitch and then Tion Wayne’s chorus. Coventry artist JAY1, who recently secured a top-20 chart entry with ‘Your Mrs’ goes next, followed by a Tion verse, another chorus then two verses from Sav’O and Swarmz. The question is, who went hardest? Because each artist did themselves justice on the remix. The original version for ‘Keisha & Becky’ debuted at #19 in the UK single chart, the second top-20 entry both artists, with the remix expected to help push the original track further up the pecking order. 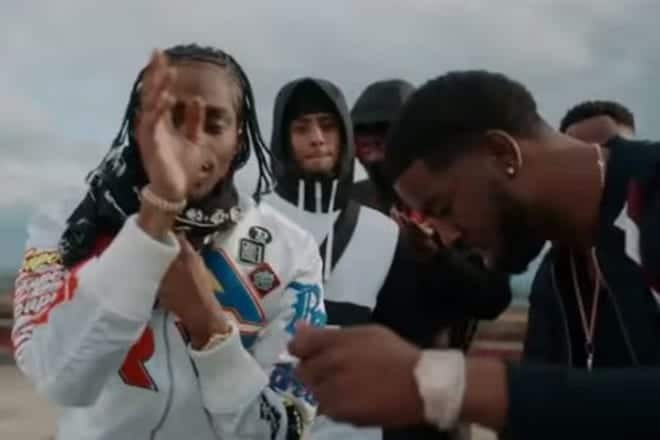 Tion recently cracked the top-10 alongside NSG with ‘Options’, as did Russ with ‘Gun Lean’, so it would come as no surprise to see this one rank among the top 10 once again. In case you missed it, Plugsville spoke with Swarmz last year about how he got into music, turning a WhatsApp voice note into a charting single and what you can expect from in future. You can watch that interview by clicking here.